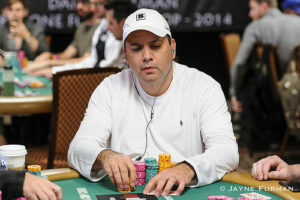 A former frequent participant in the $25,000 “high roller” tourneys at Las Vegas’s Aria Resort & Casino, Ali Fazeli, has been sentenced to 18 months in prison for orchestrating a sports-event ticket reselling scam that bilked roughly $6.2 million from approximately six people that invested into his would-be ticket reselling business. 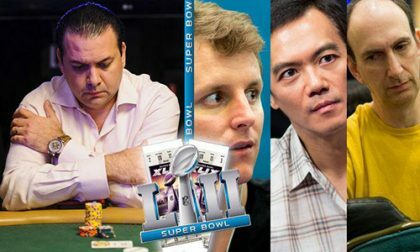 The known victims of Fazeli’s failed scheme included three well-known poker pros, Erik Seidel, John Juanda and Zachary Clark. According to California-based court reports, Fazeli, 49, whose full name is Seyed Reza Ali Fazeli, 49, was sentenced by U.S. District Judge David O. Carter on Wednesday to the 18-month sentence. In addition to the term, Fazeli was also ordered to $7.5 million in restitution to his victims, though as is typical in this sort of case his ability to repay the bilked investments remains in question. Fazeli, of Aliso Viejo, CA, will also have to serve an additional six months of home confinement once he’s released from federal custody. According to court documents, Ali Fazeli raised the $6.2 million, largely in 2015 and 2016, from two groups of gambling-world associates whom he convinced to invest in his ticket-reselling enterprise, called Summit Entertainment. His business agenda was to invest in large quantities of tickets for such high-demand sporting events as the NFL’s Super Bowl and the World Cup. However, Fazeli learned at some point (likely in 2016) that his planned scheme for obtaining large quantities of NFL tickets was against NFL rules, and instead of returning the $6.2 million to his investors, he eventually squandered the money on other items, including the frequent $25,000 small-field events at the Aria. Fazeli played in and cashed in numerous of those Aria events through the end of 2016, until his fraud crashed to earth and his funds ran dry. Fazeli pled guilty to a single count of wire fraud last July in connection with the affair. He was originally charged with two such counts, but even under the single count to which he pled out, faced a possible 20-year-maximum prison sentence and a fine of $250,000 plus double the gains of his fraud, which in total could have topped $12.5 million. Both last year’s plea deal and yesterday’s sentencing occurred in the US District Court for the Central District of California, in Santa Ana. The three prominent pros identified as victims of the scheme — Seidel, Juanda, and Clark — each came to public notice after filing a civil lawsuit in Nevada in an effort to recover their investments. All three are believed to have been befriended by Fazeli at the Aria high-roller events. Seidel and Clark each invested $500,000 into Fazeli’s “Summit Entertainment” concept — though how rigorous and diligence their research was into Fazeli’s proposed startup was never publicly revealed. The NFL generally forbids unofficial, third-party “scalping” (reselling of tickets to its games, so the concept was likely dead on arrival. Instead, as publicized as part of the criminal complaint against Fazeli, he “falsely told the victims that the ticket sales did not go well because the NFL prohibited their resale and that he was working on a settlement with the NFL,” a liberal reworking of the reality of the situation. Court documents identified none of Fazeli’s other three (or more victims), but one of them, a California man named Stephen Moreschi, also became known through his filing of a civil action against Fazeli. In addition to the civil claims from his victims, the Aria itself filed an action against Ali Fazeli (also known as Sayed Faeli) over unpaid casino markers. Those markers likely were incurred in 2017 when Fazeli’s earlier stretch of gambling run-good dried up and the last of his ill-gotten millions ran out. The criminal complaint alleged that his victims wired the investment funds to him in 2016 and up to May of 2017, when the whole thing began to fall apart.